Remember how Mom always nagged you to get 8 hours of sleep every night? Turns out she was on to something, as research shows more and more serious consequences of sleep deprivation. 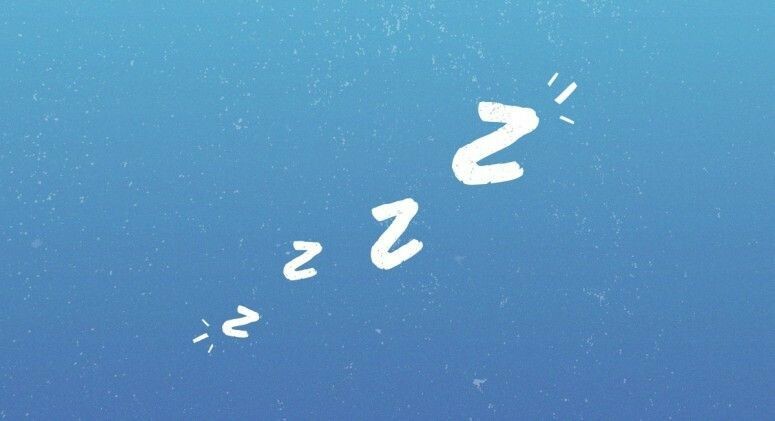 Your body starts to do crazy things when it doesn’t get enough sleep, and statistics show that most adults aren’t getting anywhere near the amount of rest they need for optimal health and brain function. While we need an average of 7 to 8 hours a night, the average American adult is getting just around 6.5 hours, which about 20 percent less than we were almost 40 years ago. 1. You’ll be hungrier than usual. The hormones ghrelin and leptin have a huge impact on your energy balance and appetite — ghrelin is the ‘hunger hormone’ that sends signals to your brain to let you know you need food, and leptin is responsible for telling your body that you’re sated and helps inhibit hunger. Sleeping affects the daily rhythms of the hormones in your body, so imagine what happens to your hormonal rhythms if you lose two hours of sleep every night. Yep, they go kind of off the rails. In fact, there’s nearly a 15 percent decrease in leptin and a 15 percent increase in ghrelin, meaning that you’ll feel more hungry but your body will feel less full when you do eat. That’s bad news for everyone, especially those trying to control their weight. 2. You won’t see as many results from your workouts, and you’ll feel more sore. Think you can train for a race or destroy your daily workouts on less than six hours of sleep? Think again. Getting fewer than 6 hours of sleep will increase inflammation in your body, which will keep you from recovering properly from your workouts. Added inflammation in your joints and muscles will leave you feeling achy, and of course you’ll feel tired, so your performance during those killer workouts? Sub-par. Just getting a few more hours of sleep will help your muscles and joints recover so you can see results from your workouts. 3. Your skin will age more quickly. On top of feeling tired, you’ll look tired! We’re used to seeing bags under our eyes after pulling an all-nighter, but going without eight hours of sleep for more than one night will affect your skin’s elasticity long term. When you lose sleep your body is stressed more easily and releases cortisol — and increased cortisol levels break down collagen protein. Less collagen means more fine lines and wrinkles on your skin, so maybe there is something to that idea of ‘beauty sleep’. 4. It messes with your memory. Unfortunately, your black coffee isn’t going to help you recover as much as you’d like from a restless night. Not getting enough sleep has been shown to impair memory. So that email you totally forgot about? You can blame it on your lack of sleep, but you can’t prevent it with a few extra cups of coffee. Studies show that even if you drink more coffee in an attempt to wake up and be rejuvenated, you’re not going to be able to recover your memory. Bottom line: You need sleep. If you have trouble falling asleep, cut out screen time at least 2 hours before bed, and consider trying a supplement like melatonin to help you relax. Certified health coach and endorphin enthusiast, Michelle is an expert in healthy living and eating. When she’s not writing you can find her running trails, reading about nutrition, and eating lots of guacamole. Certified health coach and endorphin enthusiast, Michelle is an expert in healthy living and eating. When she’s not writing you can find her running. Originally published at thrivemarket.com on July 7, 2015.